Da vinci Series 488 Spin Synthetic French Quill Mop brushes are made from light brown synthetic fibres and are finished in a ‘French’ wire mop style with plastic quills. They have sort wooden handles finished with a transparent lacquer. 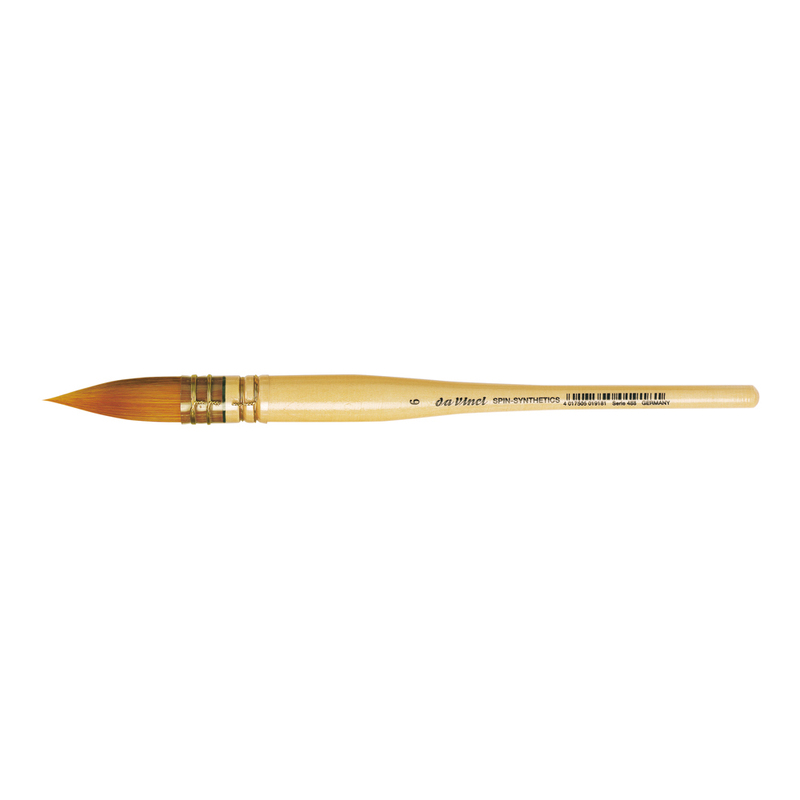 The synthetic hair of these brushes has a very smooth texture and is ideally suited to liquid colour - especially watercolour and silk painting. 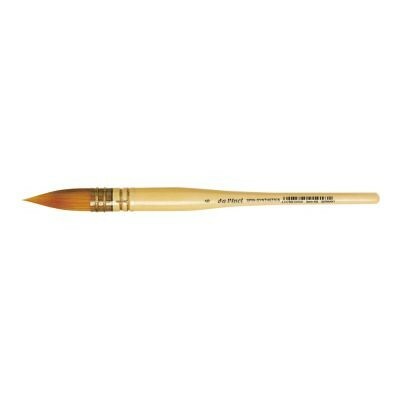 They have excellent snap and form an excellent point, so they can be used for the largest washes or the smallest detail. The design of this brush also means that it holds a remarkable amount of water. Available in sizes 0 through to 10, but not in size 7 and 9.